ONLY 43000 MILES , CAR TAX £30 . 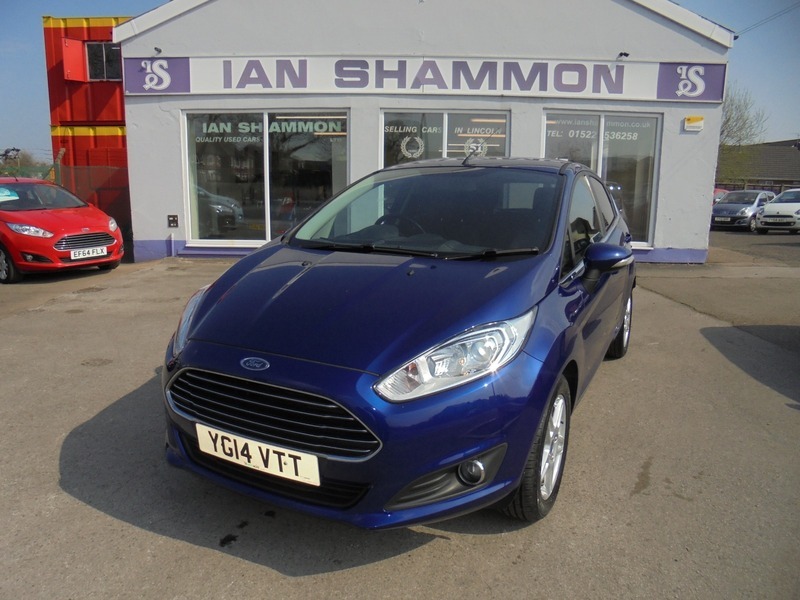 MY BEST SELLING CAR IS THE FORD FIESTA , THIS ONE IS THE ZETEC MODEL WITH THE BEST SPEC SEE SPEC LIST . WITH ONLY 43000 MILES ON THE CLOCK THIS CAR IS A GREAT BUY . THE CAR HAS SERVICE HISTORY AND LOCALLY OWNED ON BOULTHAM PARK ROAD ITSELF . A GREAT CAR TAX PRICE ITS ONLT £30 PER YEAR . A NEW SERVICE WILL BE DONE AND THE MOT IS FEB 2020 . HPI CLEAR , TWO KEYS , LOW RATE FINANCE ONLY 4% WITH NO ADMIN FEES . WE DO NOT CHARGE ADMIN . WE HAVE BEEN SELLING CARS IN LINCOLN FOR OVER 54 YEARS . TEST DRIVE NO PROBLEM JUST CALL ON 01522-536258 OR 07971639337 . WE OUR HAPPY TO HELP .